Can I Use Regular Motor Oil as My Chainsaw Bar Oil? It is tempting to use what you probably already have on hand rather than buy bar and chain oil for your chainsaw. This leads some to use regular motor oil for the task. 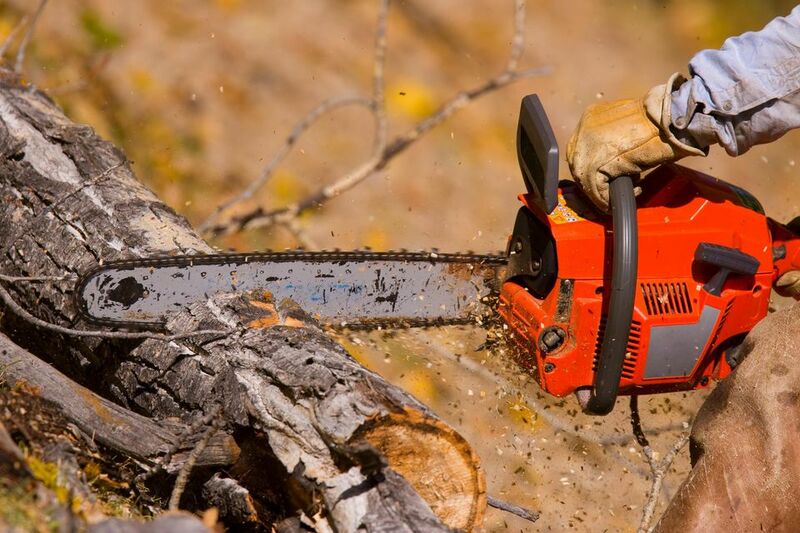 Should you buy a dedicated product for lubricating your chainsaw? The debate about chainsaws and using cheaper regular motor oil as the chain/bar lubricant is not completely resolved. Most chainsaw operation manuals insist that you need to use a quality bar oil. The reason is that bar and chain oil has a "high-tack" additive that prevents it from slinging off the chain as it travels around the tip. It is formulated specifically for this task, while other types of oil simply are not. Some chainsaw users will tell you that their father and grandfather always used a saw with new 30 weight motor oil with no bar wear. There is some debate about the kind of new oil that is best. No one recommends using old recycled motor oil. Remember that used motor oil drained from a vehicle has microscopic metal bits that act as an abrasive, which is not good for the chain or bar. Some note that used motor oil could burn up your bar and chain sooner, which will make up for any cost savings. Used motor oil will sling off your chainsaw faster because it is already broken down. It lacks the sticky additive found in bar oil that keeps the oil in the bar groove and chain. Having to replace oil more frequently will end up eating up any savings. As well, you are likely to find more oil spatters when you use the chainsaw. You'll have to clean your boots, pants, and gear more frequently. It is probably worth the additional expense to buy this dedicated product that is formulated for the task. Save the motor oil to use in your vehicles. Be sure to recycle and dispose of used motor oil correctly to protect the environment.